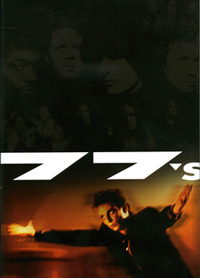 Home > Uncategorized > Photography by "Many Others"
Today, I received my copy of the new 77s DVD Collection, featuring seven official music videos by my favorite band, The Seventy Sevens, as well as another disk of “live bootleg” concert footage going back to 1982! It was just like Christmas in July, as Sean and Emma watched me excitedly tearing the cellophane off the case. They were also very understanding and patient as I rushed to the DVD player and cued up the first video, Mercy Mercy, which I had seen years ago. It was just as I remembered it. 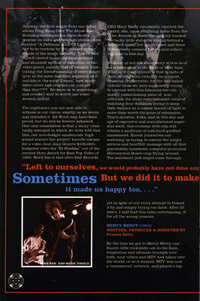 I was at a number of the featured concerts and, though they were 20 years ago, it was as if I had seen them just yesterday. Additional photos provided by Chris Knight, Brian Heydn and many others. Yup, that’s me… many others! That’s pretty darn cool Bo!! your name woulda been a great addition but it’s still VERY cool! Congratulations. Another achievement to add to your resume!! I’m sure this will be the piece that launches me to art-stardom! Reminds me of a famous piece of literature I once was included in. The name of one of the main characters was molded after me. You guessed it…. the character was called EVERYMAN.